After learning in 1895 that James Walker Tufts had concocted a grandiose scheme to build a model New England-style village and health resort in the denuded Sandhills of southern Moore County, most of the area’s denizens derided the wealthy Massachusetts native as an idealistic and foolhardy dreamer. Tufts was far from crazy. If Pinehurst was to host guests from the North, suitable accommodations — and staffing for them — had to be made available, and fast. The Holly Inn opened on December 31, 1895, just five months after the start of its construction. Twenty guests bunked in that New Year’s Eve night. The Holly represented the initial jewel in Pinehurst’s array of lodgings, accommodating up to 200 guests with all the modern conveniences, including orchestra and billiard rooms. Not long after, Tufts opened an array of smaller hotels, all of which thrived: the Magnolia Inn; The Berkshire (long demolished but once located on Magnolia Road just south of the Magnolia Inn), housing 100 guests; and The Harvard (in the structure that currently houses the Old Sport Gallery), holding 75 guests. Many New England hotel managers were eager to avail themselves of gainful employment during the months from November until May, when their inns were shuttered. Tufts sifted through this talent pool to hire his innkeepers. J. H. Atwood, proprietor of a hotel in Weirs Beach, New Hampshire, became the Holly Inn’s first manager. He was succeeded two years later by Allen Treadway, mastermind of the Red Lion Inn in Stockbridge, Massachusetts. F. M. Kimball, proprietor of the Eagle Inn in Orwell, Vermont, happily assumed the reins at The Berkshire. Kimball’s clerk, R.H. Butterworth, worked summers at the Hobbs Inn in Wolfboro, New Hampshire. J.L. Pottle headed the Magnolia, traveling south each winter from Jefferson, New Hampshire, where he operated the Highland House. An 1899 Pinehurst Outlook article described the home away from home atmosphere Tufts established this way: “The guests, being made up so largely of New England people, are sociable to a degree that makes one feel quite at home after a day or two here, and although there are some 200 over in the Holly Inn, they seem to be almost of one family.” This idyllic atmosphere bonded these early guests with Pinehurst, and many would establish a family tradition of annual pilgrimages. Tufts chose Harry Priest, proprietor from June to October of the Hotel Preston in Beach Bluff, Massachusetts, to run The Carolina and also serve as the general hotel manager for all of the various Pinehurst lodgings. Throughout 1900, Priest labored on the massive task of recruiting seasonal staff from his own Hotel Preston and other New England lodgings. He enticed them with the prospect of free lodging and board in the hotel’s three story dormitory wing, which Tufts had attached to the rear of the hotel. Fully staffed, Priest welcomed The Carolina’s first guests on January 1, 1901. By 1910, H.W. Priest had switched his summer employment to the Hotel Wentworth (now Wentworth by the Sea) in Portsmouth, New Hampshire. 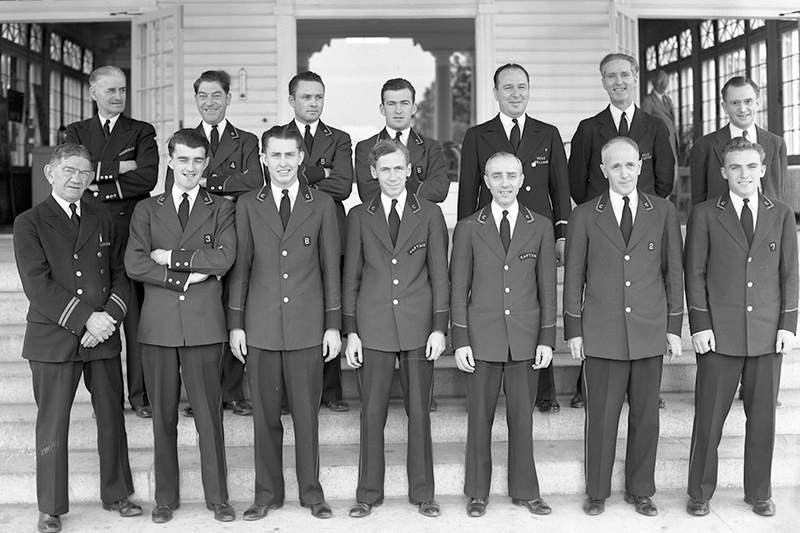 Several of the Wentworth’s key staff followed Priest to Pinehurst for winter jobs at The Carolina, including head bellman Jack Mulcahy, and headwaiter Jimmy Mahar. They in turn encouraged co-workers to shuttle between the two hotels, people like Hungarian immigrant Sam Lacks, who at the age of 32 first appeared on The Carolina’s payroll as a pastry assistant in 1908. While engaged in his summer employment at The Wentworth, Lacks became smitten with co-worker Emma Lyons, a chambermaid and waitress who was born in New Brunswick. The couple married in 1911. Their union would produce two sons — Sam Jr., in 1913, and Stanley, in 1916. 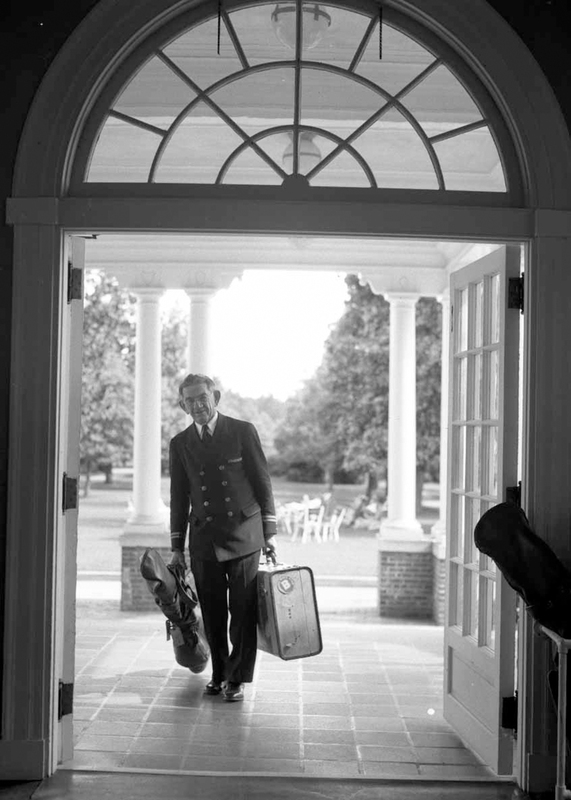 Sam Lacks Sr. would work at The Carolina for four decades, rising to a prestigious and lucrative position as the hotel’s doorman before retiring in 1947. In 2002, Sam’s younger son, Stanley (who himself worked several years at The Carolina prior to a distinguished banking career), authored papers, now housed in Pinehurst’s Tufts Archives, concerning his family and Carolina hotel operations during the first half of the 20th century. Stanley’s writings give a vivid picture of the nomadic lives and challenges of hotel workers of that long-ago time. In the early days, “most migrating workers had several things in common: they were white, Christian, unmarried, and of Irish or English descent. They were capable of reading, writing, and doing arithmetic, but few had completed high school . . . The women had long hair and the men were clean-shaven,” writes Stanley Lacks. At the time most younger female employees “considered hotel work as a transition period prior to marriage and children.” Emma Lacks left her employment at The Carolina prior to the birth of her first child. She would return as the “newsstand lady” after her two boys graduated from high school. Stanley indicated that the majority of workers were Irish Catholics, including the aforementioned supervisors Mulcahy and Mahar. Church services for employees were held in their common area — “Help’s Hall” — until the Sacred Heart Catholic Church was erected in 1921, a chip shot distance from the hotel. Before departing south for Pinehurst, workers stopped by the headquarters of the Boston Uniform Company to be fitted for their job attire. Waitresses were issued yellow garb to wear while serving breakfast and lunch, and crisp white uniforms for dinner. Bellmen were provided single-breasted navy blue uniforms of the same serge material that adorned U.S. naval officers. The head bellman and doorman (Sam Lacks) “wore double-breasted models with two gold stripes on the sleeves.” The uniforms and personal dress items were shoehorned into the workers’ suitcases and leather valises in preparation for the journey. Until highway driving became less harrowing than a moon shot, there were only two feasible means for Hotel Wentworth employees to make their way to Pinehurst for the winter season. The excursion could be taken exclusively by rail, but the most popular method (and the one preferred by the Lacks family) involved boarding a Merchants & Minors steamship that would depart South Boston’s harbor about two hours before sunset. Upward of 100 hotel workers, most known to one another, would be aboard. Stanley Lacks recalls that “if the ship left Boston on Monday evening, it arrived in Portsmouth, Va., on Wednesday morning.” The disembarking passengers then boarded a Seaboard Line train that chugged them into Southern Pines in the evening. The employee dormitory (the “Help’s Quarters”) housed married couples, pairs of single men and pairs of single women on three floors. Men’s and women’s toilets and bathing facilities were located on each floor. All rooms were windowed, equipped with sinks, and large enough to accommodate two people, though department heads and a few others were afforded private rooms. Following the death of his father, Leonard Tufts would construct other houses for employee lodging. The Lacks family resided several seasons at Thistle Cottage, a four-apartment dwelling on Community Road. “Little Sure Shot” Annie Oakley, who taught riflery at the Gun Club, occupied an adjoining unit. With seven-day workweeks, there would seem to have been little time for workers to form, let alone act upon, attractions with one another while employed at the hotels. Indeed, Stanley wrote that romantic courting was mostly “an off-season practice” occurring during the vacation periods between the workers’ Northern and Southern hotel assignments. Perhaps that was so, but one suspects people in love generally find ways of spending time with one another. The employees used three separate dining areas at the hotel. The jobs performed by the workers determined their dining locations. The manager and his wife, the hosts and hostesses sat at a large table in the corner of the cavernous main dining room, provided they were properly attired (coat and tie, etc.). 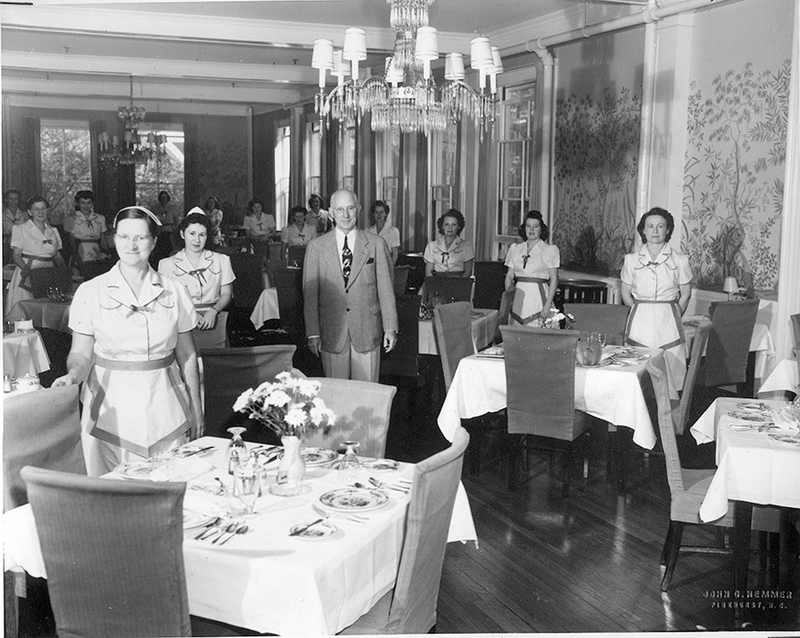 Other higher-up staff, like the “department heads, doormen, desk clerks, switchboard operators, newsstand manager, musicians, waitress captains, porter” ate with full waitress service at the Side Hall, located between the main dining room and the kitchen. Help’s Hall (referred to as “The Zoo”) served as the eating area for the remaining employees. The Zoo also provided a central place for employee meetings and get-togethers. An adjacent small store sold Old Gold cigarettes, candy and miscellaneous items. According to Stanley Lacks, some workers never left the grounds of the hotel until heading north in the spring. And staff members were made to understand that when the blue-blooded social season guests arrived for their month’s stay, they expected service of the highest standard. The employees of Sam Lacks’ era labored in a hotel environment far more formal than that of The Carolina today. The male guests dressed for dinner in dark suits with ties, and their ladies were invariably clothed in colorful evening dresses. The upper crust, Stanley Lacks recalls, would “congregate in the lobby in overstuffed upholstered chairs. Demitasse was poured from a large silver urn by the hotel’s hostess and served in fine china,” while the hotel’s paid orchestra provided soothing musical accompaniment. This formality led to certain employee positions having greater prestige than would be the case today. 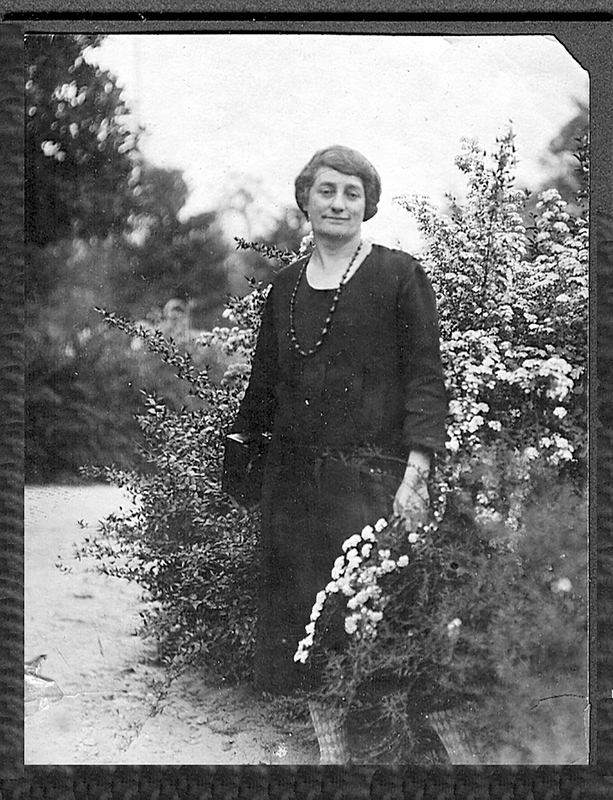 One was the “coat room lady,” the post held by Freda Marks. Lacks recollects that Marks “was an important person toward making hotel guests feel at home. She sat on a chair outside the entrance to the dining room and everyone had to pass her going in and out.” Freda took charge of the mink, ermine and sable coats of Cottage Colony females who came for dinner, and shared town gossip with them, practices conducive to substantial gratuities. 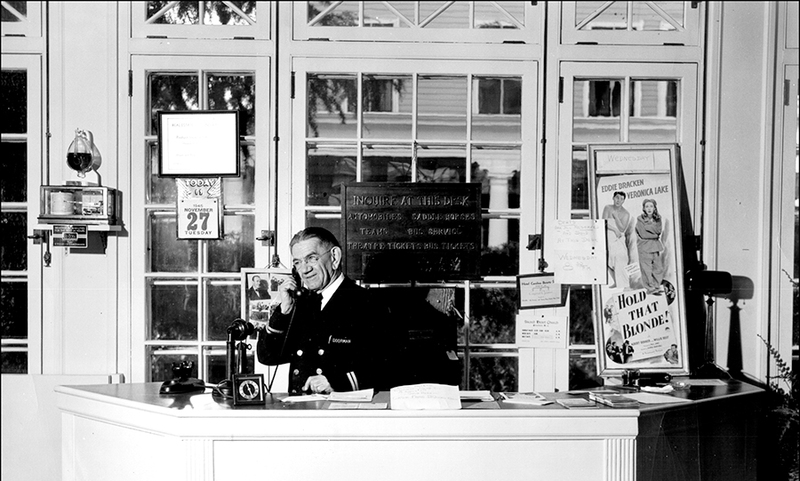 Stanley Lacks worked at The Carolina for several years in the 1940s assisting his father as a doorman. He remembers receiving a salary of $8 a week. “But I did not receive that money weekly; it was a book-entry in the Pinehurst, Inc. records,” he recalled. “The company gave me a check at the end of the season for the total amount due. If I had worked a total of 32 weeks, I received a check for $256.” Since he received free room and board and gratuities, Stanley saw the job as more profitable than his succeeding employment with the Federal Reserve Bank in which he received $2,500 annually. Hotel workers not receiving gratuities were paid higher salaries. Sam Lacks’ success in receiving this largess was enhanced by his colorful and winning personality. According to The Pilot, he befriended everyone he met, including “members of the European nobility, a former president, several senators, and businessmen and sportsmen of national prominence.” He was also thought to “exercise a mysterious control over the weather,” an ability which he never bothered to deny. It may have concerned the Tufts family that Pinehurst, Inc., did not own or control the Northern hotels where The Carolina’s manager and employees worked during the summer. There was always a possibility that a manager could resign from The Carolina, go to work for another Southern establishment, and take his employees with him. To guard against this and also provide year-around employment for his workforce, Leonard’s son Richard Tufts entered into a contract in 1931 for Pinehurst, Inc., to manage the Berkshire Hunt & Country Club in Lenox, Massachusetts. Richard shipped The Carolina’s then manager Ed Fitzgerald and his workforce (including Sam Lacks) to Lenox for the summer. In subsequent years, Pinehurst, Inc., owned the Marshall House in York Harbor, Maine, which served as another summer base for The Carolina’s migrating employees. Pinehurst’s status as a premier winter resort took a hit after World War II when Florida became a more attractive destination due to increasing ease of air travel and newly air-conditioned hotel rooms. Moreover, the old-line guests who customarily stayed in Pinehurst for a month were steadily fading away from the scene. A new generation of Pinehurst, Inc. managers, led by Jim Harrington and William Sledge, maintained that the resulting decline in revenue necessitated a revised business model featuring an increased emphasis on attracting conventions and catering to groups of visiting golfers. Harrington, now 91, also remembers telling Richard Tufts that Pinehurst could no longer afford to have its assets lie dormant five months of the year, and that the company needed to move toward year-round operation. Finally, in 1961, Harrington persuaded the shareholders to approve the building of a swimming pool and installation of air-conditioning at the Holly Inn. For the first time, a Pinehurst resort property was available for lodging throughout the year. In the mid-1960s, further improvements were underway at The Carolina to enhance convention traffic. Sledge headed the construction project to build the Carolina Ballroom. Air conditioning of The Carolina’s rooms was completed in 1969, but Richard, and those in agreement with him, could never bring themselves to pull the trigger authorizing year-round operation. Ongoing disagreements between shareholders regarding a host of issues led to the sale of Pinehurst, Inc., in 1970 to industrialist Malcolm McLean. Under the “Diamondhead” umbrella, McLean opened The Carolina to full time operation in 1971. With employees now expected to live near the hotel all year, Diamondhead saw no need to keep the Help’s Quarters. The old dormitory wing was razed and the Marshall House was sold. Pinehurst resident Bill Case is PineStraw’s history man. He can be reached at Bill.Case@thompsonhine.com.